A really excellent reimagining of Mazinger Z. If I were to state a con, it would be that it ends on a cliffhanger that isn't followed up in anime form, though there is in manga. Excellent performance by both seiyuu of Baron Ashura, Ishitobi Koya (male half) and Yamagata Kaori (female half). Features great opening and ending songs too. This series is fan-freaking tastic. I'm a HUGE fan of mecha anime, and I've always wanted to watch more of the Mazinger series because Mazinger Z is one of the most iconic mecha ever. This is not just an anime, this is MANime. They don't make many anime's like this anymore. If that's not enough of a reason to watch it, you got JAM Project with their epic music being played in this series. Not to mention that in this series, Mazinger Z transforms into a GIANT FIST OF JUSTICE. That's how awesome it is. I used to watch the Spanish dub of Mazinger Z as a kid on TV every day for as long as I can remember until I was 14. Needless to say I have been a fan my entire life and IMHO this is a great version. All the stuff that made the original great are still there, dialed up to 11, with the story and cast expanded while decreasing the episode count. 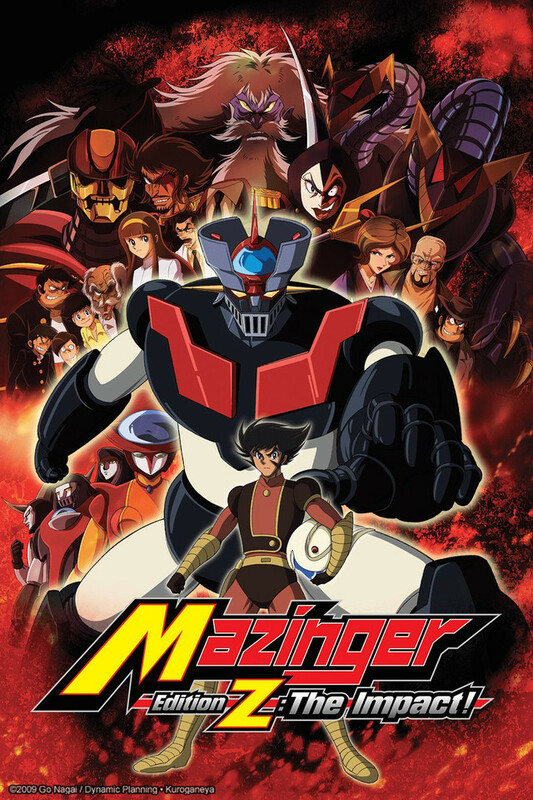 I would complain about the cliffhanger ending but that's just how Mazinger Z always ended for me; with Great Mazinger the direct continuation of Mazinger Z never making it over to our televisions. Anyway, highly recommended for Mazinger fans, Giant Mecha/Robot fas, or anyone who wants a more condensed introduction as to how Go Nagai inspired generations.